Another empties post!! There is no greater feeling than squeezing that last little bit of product out of the bottle, so having such a large pile of empty bottles is like Christmas. And I get to share with you everything I’ve used up, loved, and whether or not I will buy them again! Clairol CC Colorseal Conditioner – Colorseal conditioner for recently died hair. I used up this little tube after using a Clairol hair dye. The colour worked for me, but I think I need to start sucking it up and paying to get my hair professionally coloured. If you want to use from a box, the Clairol Foam works best. And thats it!! 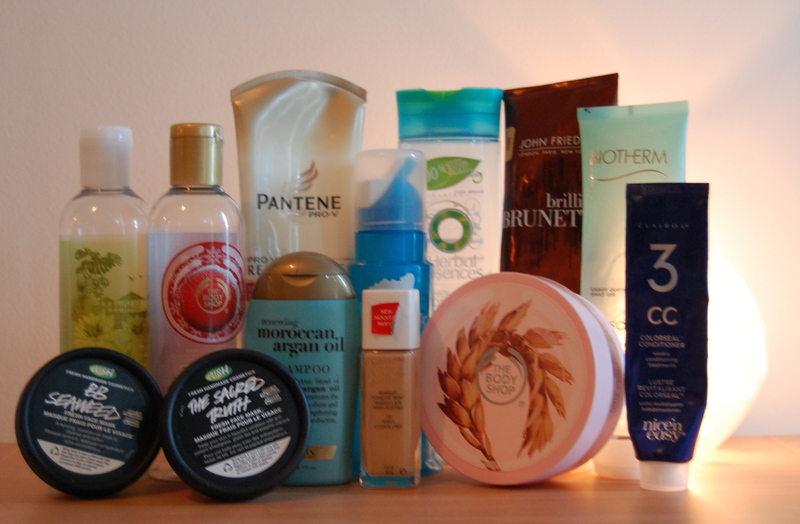 I think it’s a little obvious I like my hair products! Have you used any of these products before? Don’t you just love empties? !